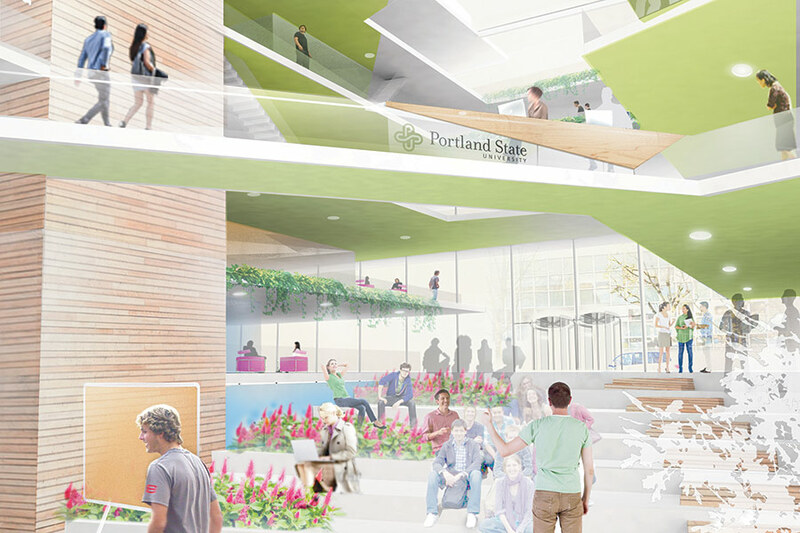 Portland State University School of Business Administration Expansion in Portland, Oregon. One hundred years ago, the eastern edge of Boston’s Chinatown was a wholesale garment district. Today it has quietly become a design enclave, with architects, web designers, and other creative types grouped at open tables framed by worn wood floors and cast-iron storefronts. On the white walls of one such studio, architectural renderings are interspersed with handwritten German grammar charts. 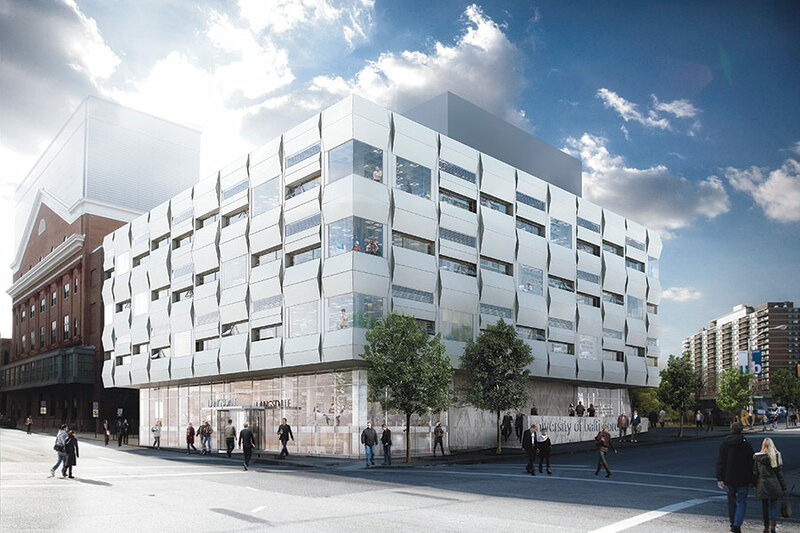 Behnisch Architekten was founded in Stuttgart in 1991 by Stefan Behnisch—son of Günter Behnisch, the longtime principal of Behnisch & Partner, best known for Munich’s 1972 Olympic Stadium. Günter’s practice, said Boston partner Matt Noblett, was “very much about the human experience of architecture: how the individual moves through the building, experiences space, interacts with other people, is impacted by things like color and daylight.” Retaining those values, Stefan added a consuming passion for sustainability, “and how technology around sustainability could drive building form in architecture.” The firm maintained an LA office from 1999 to 2011, and settled in Boston in 2006 after winning the competition for Harvard’s new science center in Allston. Behnisch is so devoted to a level organization that his staff does not have individual e-mail accounts. All emails are addressed to a project, so that everyone on a team has exactly the same information. This is “not a practice where the partners are doing the master sketch and handing it down the line to be produced,” said Noblett. “The projects really have to be coming out of the groups of people who are working on them, who understand them the best, who are sitting there every day dealing with the nuts and bolts of the problem.” One of the firm’s most consistent design elements might double as an emblem of its culture: the operable window. Hung with three-story concrete panels and scored with vertical ribbon windows, this gently Brutal 1968 box rests on a one-story, glass-and-marble plinth. Retaining the panels’ rhythm, the firm is recladding in a lighter material and notching windows throughout. Gutting the interior, they blasted popcorn paint from the waffle slabs and found dramatic coffered ceilings. “When we saw that,” said Noblett, “we [felt] this should be a loft space, with lots of reading and seating places, to really celebrate that raw structure.” On the west facade, an asymmetrical glass hall adds stairs, a second entrance, and a return for natural ventilation. With its own block in Portland’s urban grid, this hulking 1979–89 structure has an underused park with a one-story slope. 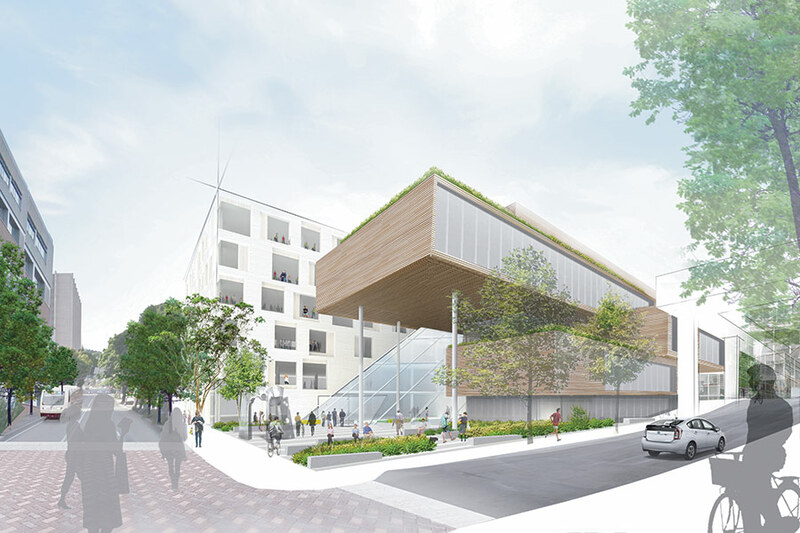 The addition starts with an angled atrium above a landscaped stair that forms “an element of the earth,” said Noblett, “so the building is lifted up over the ground plane and the ground goes through” to SW Broadway. Webbed with catwalks and balconies, the atrium leads to a classroom pavilion of five staggered, wood-clad “matchbook volumes,” each with a walkable green roof and passive cooling. In the older building, the new metal facade is punched with an “informal composition” of variegated windows. After the Big Dig, Harvard’s will-they-or-won’t-they science complex is Boston’s grandest hole in the ground. 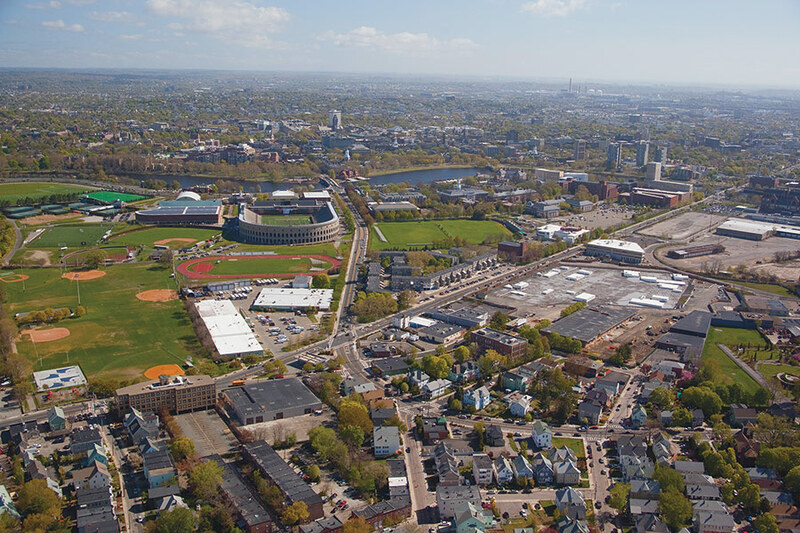 In 1989, the university started buying land in Allston, across the Charles River from its Cambridge campus, and in 2006 Behnisch won a competition to design a 500,000-square-foot life-sciences center. Construction of the four-building concept ceased during the recession, and the firm devised a decking system to waterproof the five-acre foundation. The site is now being reconceived as a home for the School of Engineering and Applied Sciences, part of a larger “enterprise research campus” to include private companies, nonprofits, and mixed-use development. Artists for Humanity defines “sustainability” in part with its own nonprofit mission: training urban youth to find paid work in the arts. The 2004 EpiCenter won Boston’s first commercial LEED Platinum designation, and its expansion will be New England’s largest energy-positive building. Schematics focus on energy performance and massing. Behnisch must comfortably orient larger volumes on this small site in mushrooming South Boston, adjoining older low-rise housing, a new park, and new high-rise development. Energy options include fuel cells, geothermal pumps, and photovoltaics as shading devices. The committed clients already run summer fans in the middle of the night.